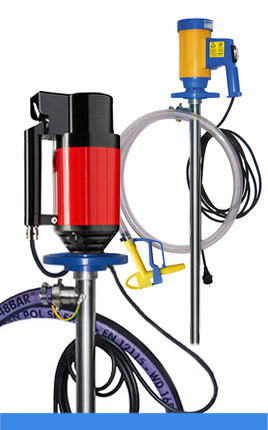 The principle of the drum pump has proven its worth in the field of pumps for decades and is suitable for most applications as well as industrial branches. 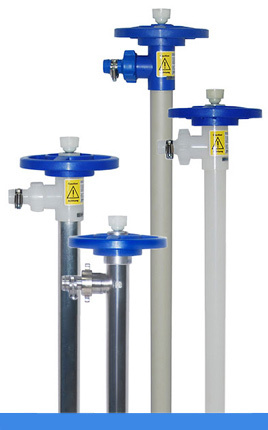 For transferring low-viscous media such as acids, alkalis and cleaning agents (with pump tube made of polypropylene), highly aggressive chemicals (with PVDF pump tubes). 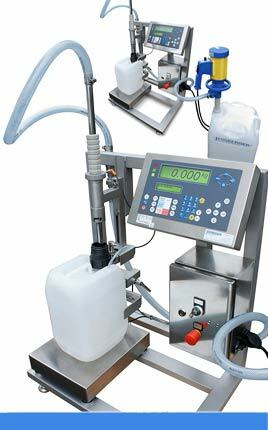 Mineral oil products up to 1,000 mPas (with pumping tube made of aluminum) or flammable media as well as food (with pump tube made of stainless steel 1.4571). The motor is useable for low-viscous, neutral and non-flammable liquids in connection with pump tubes for drum pumps. 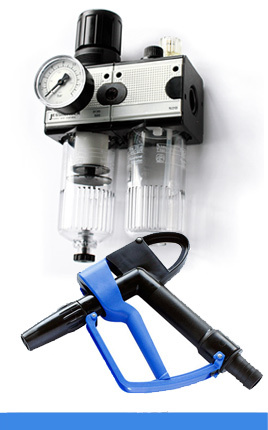 The speed of the motor can be controlled by the air supply and thus the flow rate can be adjusted. 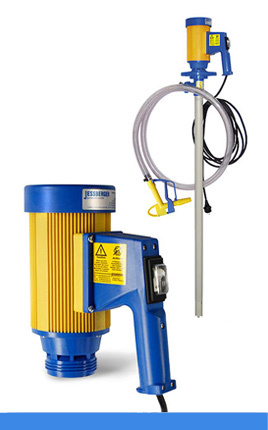 for transferring low-viscous media from drums and containers. 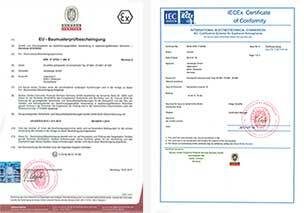 Materials polypropylene, PVDF, aluminum and stainless steel. 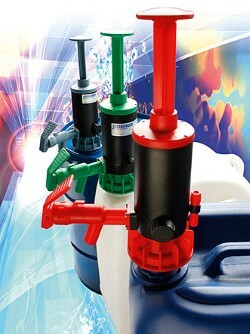 Drum pump, hose and nozzle were perfectly matched to each other and guarantee immediate usability as well as long service life of our drum pumps. Numerous companies from the bottling, chemical or packaging industry want to fill low-viscous to slightly viscous media from drums or containers at the push of a button. 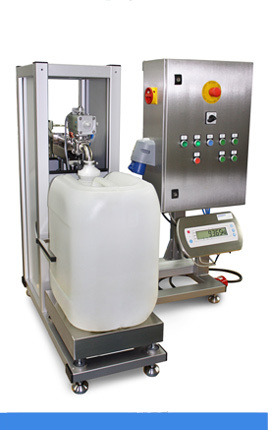 The semi-automatic filling plant made of stainless steel 316Ti is suitable for filling different media from drums or IBC containers into smaller packages. 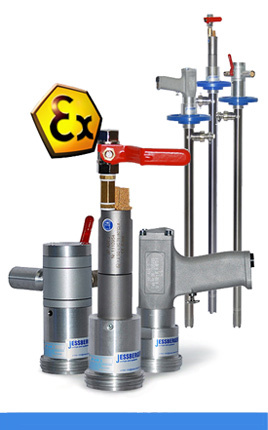 Extensive accessories such as drum and thread adapters, media-resistant hoses, nozzles, wall hanger or flow meters.